Trying desperately to remain relevant, Ferguson protesters today held a pumpkin protest at the St. Louis County Courthouse. 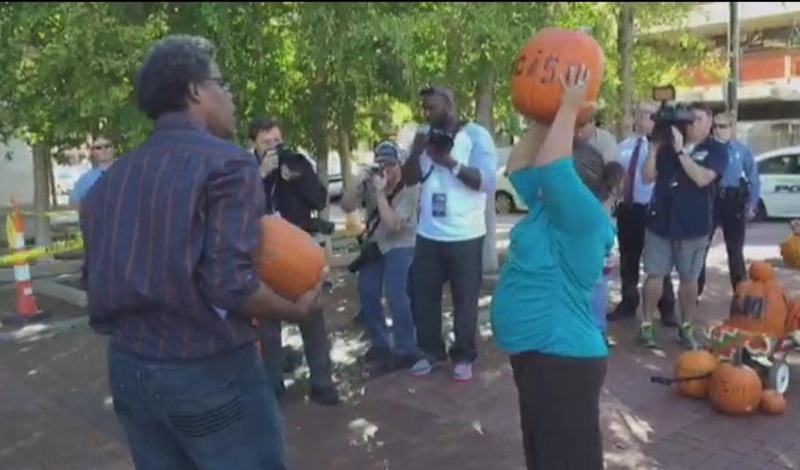 Two protesters were arrested after smashing pumpkins on the sidewalk. The children are smashing pumpkins on the sidewalk. One protester was reportedly arrested for chucking a protest at police.